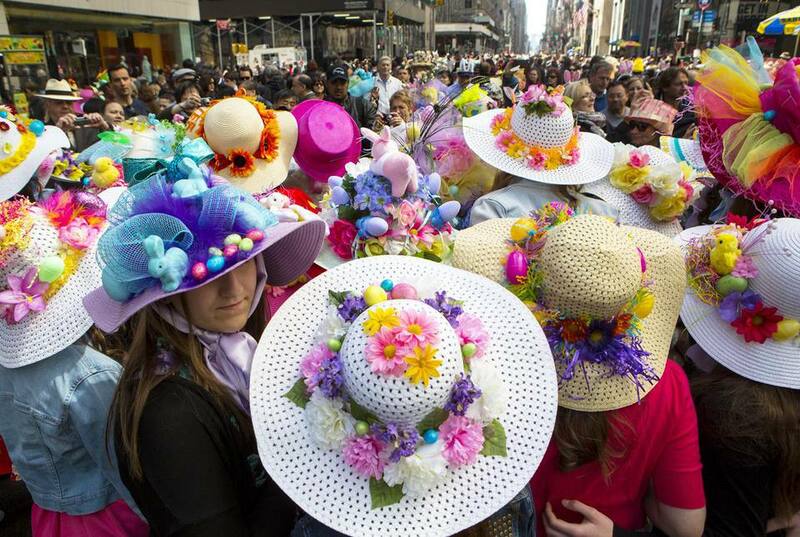 On Easter Sunday the streets of Manhattan come alive with spring colors and flowery bonnets as part of the annual Easter Parade and Bonnet Festival. Visitors and residents alike have the opportunity to see "paraders" wander along Fifth Avenue from 49th to 57th Streets. The area around St. Patrick's Cathedral is the ideal place to see all the festivities, which run from 10 a.m. until 4 p.m. In 2019 the parade takes place on April 21st. Unlike most New York City Parades, the Easter Parade isn't an organized event. Participants come and go, even shopping and grabbing bites to eat along the route. If you're visiting New York City during the parade you can stop by the festivities whenever you want, for however long you want, to see the various Easter bonnets and costumed pets. People from around the world come to New York City to participate, and their outfits for the day's festivities range from elegant to outrageous. It's quite the spectacle for tourists to witness. There are live animals in full costume, humans in Civil War period costumes, even people in the latest high fashions. There is a little bit of everything for the parade viewer. Many kids and groups also participate by creating unique Easter bonnets and themed costumes. This annual tradition has been taking place in New York City for over 130 years, and while some things have changed, some traditions remain steadfast. Although the Easter Parade in 1900 didn't have any floats or marching bands, the tradition of dressing up for the event started back in the 1880s when women would wear their finest hats and dresses and decorate the churches with flowers to celebrate the day. 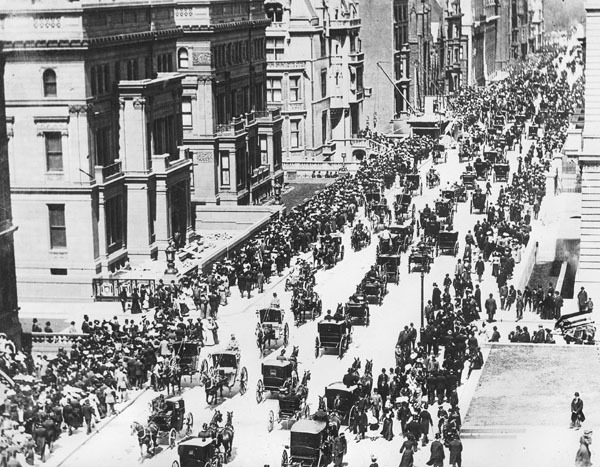 From the 1880s through the 1950s, the New York City Easter Parade was one of the largest cultural expressions in America to celebrate the holiday and a spectacle of fashion and religious observance of the time. However, as the years went on, the Easter Parade became less about religion and more about extravagance and American prosperity. Today, the Easter Parade combines these traditions by incorporating the annual Bonnet Festival into the parade and by hosting events at St. Patrick's Cathedral in observance of Easter. If you're attending the Easter Bonnet Festival and Parade, you might want to enjoy an Easter Service at St. Patrick's Cathedral, right along the parade route. Attending Mass at this famous cathedral is just as important of a tradition in NYC as the parade. St. Patrick's Cathedral has a number of Easter Masses and Holy Week services, including eight on Easter Sunday. Only the 10:15 a.m. Mass requires tickets; the others are open to the public. If you want tickets to the reservation-only Easter Mass you have to send a letter to St. Patrick's Cathedral in January requesting your reservation, and there is a two-ticket per person limit. The 4 pm service is conducted in Spanish. Find out the schedule here. Other churches for Easter Service near the parade route include Saint Thomas Church on 53rd Street and 5th Avenue and the 5th Avenue Presbyterian Church at 55th Street and 5th Avenue.